Near loss or, as it is commonly called in the safety industry, “near miss” reporting is the foundation of any injury-free workplace. 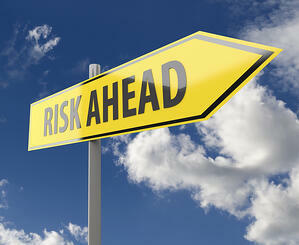 Developing a safety culture begins with a written system of worker’s close calls and/or narrow escapes. This written system has been proven to help reduce the risk of future injuries. OSHA and the National Safety Council both state that implementing near miss reporting can “significantly improve worker safety and enhance an organization’s safety culture“. Every day there are near miss incidents or injuries occurring in the workplace; this is why reporting both is vital to a company’s safety program. There are a few best practices when it comes to near miss program development you should follow for your business. Provide Proper Leadership: This is critical in order to establish a near miss reporting culture. Leadership must reinforce the importance of identifying and controlling hazards in the workplace. Recognize Why Reporting Is Crucial: Be sure your workers understand the importance of near miss reporting. Do this through proper training and providing educational resources. Anonymity for Workers: Many workers refuse to report hazards or incidents for fear of retribution. Because of this, your company may consider allowing the workers to be anonymous when reporting an incident. Additionally, empowering workers with the right to stop work can create a culture of self-reporting. Investigating the Incidents: Every time a near-miss incident is reported, it is vital that the safety leader investigates to determine why and how this incident occurred. Using the Results for Future Incident Prevention: The investigation results can provide vital information for prevent future incidents from occurring. Use this data and share it across the company as lessons learned. Note that near-miss reporting cannot occur without the worker. Be sure to provide your workers with education on why near-miss reporting is vital to your company. It is also important to train new workers on these policies prior to allowing them in the workplace. Without proper training or resources, the workers will not know what needs to be done and when it must get done. Make your near-miss program simple and easy to understand, and be sure that there is active communication between leadership and workers. Most importantly, be consistent in reiterating why near-miss reporting systems are vital to everyone in the company. Celebrating the success of your near-miss program can be a great incentive for your workers to continue the process of reporting near-misses. Establishing your near miss program is the next step toward a happy and healthy incident-free workplace. For more information on important training programs and how to hire and train safe workers, click below to download our free eBook.